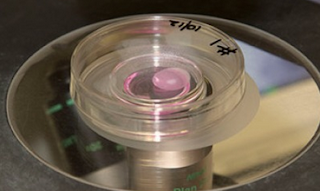 University of Queensland researchers have made a major leap forward in treating renal disease, today announcing they have grown a kidney using human embryonic stem cells. "One in three Australians is at risk of developing chronic kidney disease and the only therapies currently available are kidney transplant and dialysis. Only one in four patients will receive a donated organ, and dialysis is an ongoing and restrictive treatment regime. We need to improve outcomes for patients with this debilitating condition, which costs Australia $1.8 billion a year." Professor Little said. "During self-organisation, different types of cells arrange themselves with respect to each other to create the complex structures that exist within an organ, in this case, the kidney. 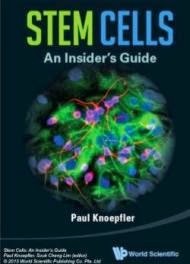 The fact that such stem cell populations can undergo self-organisation in the laboratory bodes well for the future of tissue bioengineering to replace damaged and diseased organs and tissues.I t may also act as a powerful tool to identify drug candidates that may be harmful to the kidney before these reach clinical trial." said Professor Little. “The work by the IMB research team is an important milestone in developing improved treatments for chronic kidney disease and will ensure those with the condition can continue to live fulfilling and productive lives,” said Mr Walker said. The study is published in the scientific journal Nature Cell Biology and was supported by the Queensland Government, the Australian Research Council as part of the Stem Cells Australia Strategic Research Initiative, and the National Health and Medical Research Council of Australia.